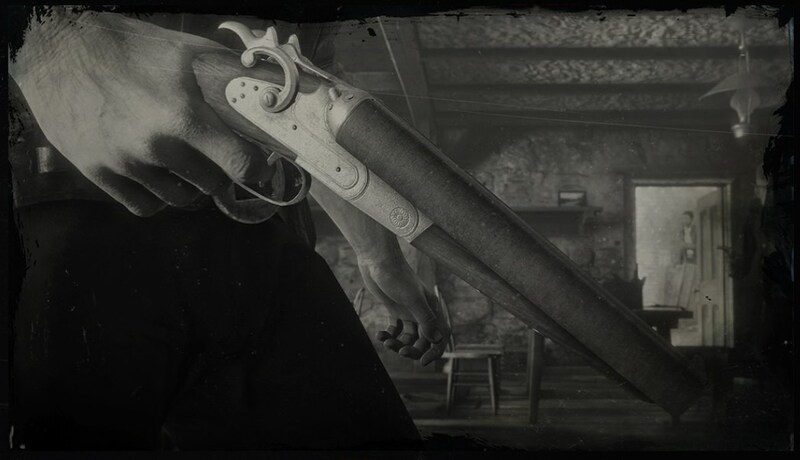 Sawed-Off Shotgun is a Shotgun is Red Dead Redemption 2. The Sawed-Off Shotgun by Peeters & Janssens is made by one of the most noted gun manufacturers and we have yet to receive response that it didn't provide perfect satisfaction. Over the years many have indicated that the long handsome wooden stock is a shame to cut through and throw away when fashioning a weapon that can be easily concealed under a trench coat for an evening dinner, card game, or impromptu departure of a colleague from the local magistrate. So the manufacturing outfit of Peeters & Janssen, a company with reputation for the fabrication of strictly high grade guns, set out to make a lightweight shotgun that is easy to use and conceal, as many situations in modern times require. Acquire early in Chapter 1.